The music fraternity in Malawi keeps making tributes to musician, Andrew Matrauza who died on Thursday morning. Musician on the social network have been writing to Malawi24 about the huge loss the industry has by receiving the news. According to the reports, Matrauza died this morning at Queen Elizabeth Central Hospital – QECH in Blantyre where he was admitted for treatment. Matrauza has been in South Africa for other business and he came back in the country in July this year and since the return, he has not been well. At first, he was admitted at Chiradzulu district hospital before referred to QECH’s ward 3B where he died. 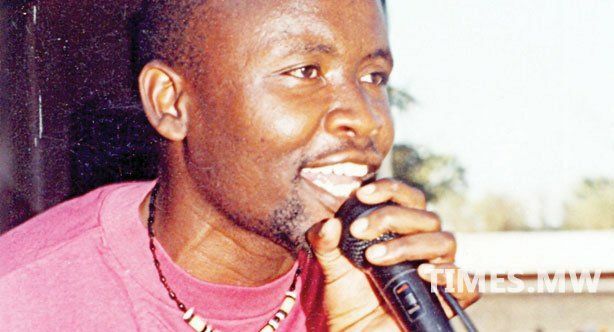 Matrauza was known by his first album’s title track, Musadabwe which was enjoying airplay on local radio and Television stations as well as wedding ceremonies. The song which is appropriately a wedding song describes the Malawian marriage arrangement from groom’s point of view. Matrauza had been collaborating and working with other local musicians like Evance Meleka, Saul Chembezi, Thomasi Chibade, Annie Matumbi and Joseph Tembo. Pc in his restng moment if so. Pepani ndithu, ause mu mtendere. Huge loss indeed, R I P.
(R , l , P) andrew matrauza. On behaf of my fellow Malawians here in #Botswana…. am sending my heartfelt condolence to his family for the loss of #Andrew…..to God be glory…shall meet again bro in His kingdom….Rest in peace brother. Ndie Maliro Akaikidwa Kumudzi?Kapena Town Momuno? Eiish Andrew U’ve Left Me In Suspence!! U Were One Of My Best Artist Any Way,fire goes where there is bush nafenso tikudikira njira yomweyo mwadzelayo rip!!! For me he ws als a frend,a big loss indeed. 0nly your body has gone to rest but your talent and your spirit shall always be in exitance. As one of former DJ’s I appreciate how your songs made people happy in many celebrations…..Musatidabwe, Mwatizulira. Memories are even fresh of the chat we had at Thunga market in Thyolo….I still remember the plans you shared to me about your career only to hear that you are no more……am taken by a great sadness words are not enough to express my grief….Have a peaceful rest my idol….icon…star….I Shall always remember you ANDREW…..
May his soul rest in peace…….! MUMANYENGANA NDIYE KUTI? NAWENSO UMUTSATA SIWATIWUZA? rest in peace Mr mathlauza..
That’s a very sad ….R.I.P Andy. kodi anthu akupanga like wa akungopanga mwachimbulimbuli kapena akudziwa chomwe akupanga? akuoneka pachithuzi u ndi andy or josy tembo? Ndi Andy kungoti akufananirapo ndi Joe. what!!! nderea kumwlira zoona aaaaa ambue km mukanatenga chitsiru kwete,,,bwampini ndi mzake mbendera as u can see we are in Diaspora not Malawi…mulungu wanga chonde chakachino wamodzi mutengeko dowe asadyeko…winayo tisanayambe kukolora zachitengeni…R.I.P.. Anderea..
wow! sorry Malawi S.I.P jerous of satan 2 take out our loved pple. Mtendere Wochuluka Wochokela Kwa Ambuye Ukhale Kwaiye. We loved him but God loved him most,may his soul R.I.P. Ndie Anthu Mukupanga Like Imfao?? Liked your local music. RIP. Mmmm Guys Zamaliro Zomwezi Mpaka Muziyambanapo Kod Inu Simulakwitsa? Tamakondanani U Black Pipo! SO SAD. R I P ANDREW WILL NOT HAVE ANOTHER ANDREW IN MALAWI LIKE U. R I P.
I wil mis u bro,R I P.
kkk man bwanj using “her”? eeii kma abale inu! koma mutu wanu ukugwira bwino ntchito ngati may her so kodi Andrew Matrauza anali wankazi??? school unapita iweyo nde ya ku Mozambique tu!!!! abale muthu sanapangire dala chizungu nchochita kuphunzira ichi….colby!! pronoun ya mamuna ndi his or him wamkazi ndi she or her…. Surely, Earth is not a home to stay. RIP. Oh no,this is so heartbreacking! RIP. Kwambiri kaa titsamabitse zinthu uyu wafa ndi matenda aa AIDS… Zobitsa nthenda zinatha kalelale..